All is not well in the Malibu wine world. 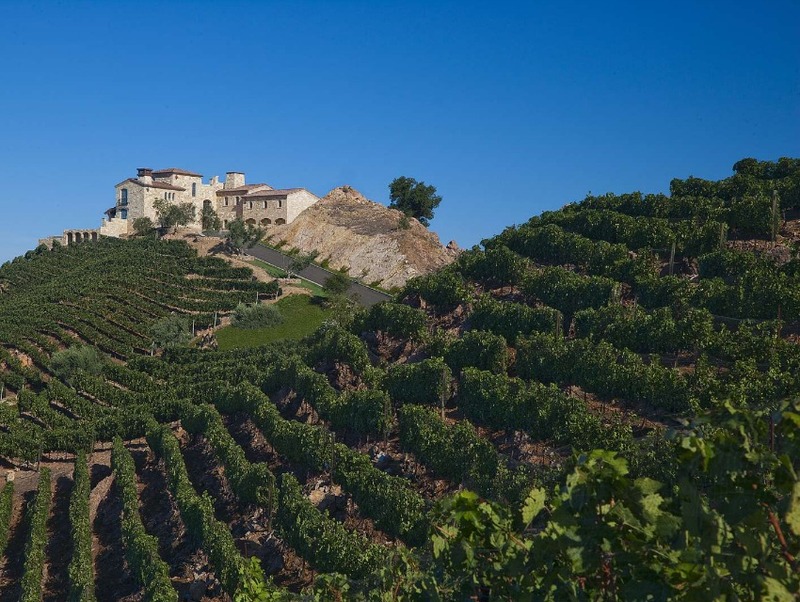 The exciting news about the newly approved Malibu Coast AVA has suddenly been overshadowed by the shocking possibility that certain winegrowers and vintners will have to rip out their vineyards in the coming months. The approval of the AVA by the Alcohol and Tobacco Tax and Trade Bureau (TTB) took approximately four years, with vintner John Gooden (Montage Vineyards) leading the charge. The facts presented by the commission, headed by Gooden, traced the lineage of vineyard plantings in the area back to 1824, a historical precedent that helped it earn its prestigious designation. But newly proposed revisions to the California Coastal Commission’s (CCC) Land Use Plan (LUP) for the Santa Monica Mountains and Malibu—set forth by Supervisor Zev Yaroslavsky of the L.A. County Board Supervisors—will directly impact those vineyards along with equestrian and other agricultural-based properties that lie within “unincorporated areas.” Up until now, these lands, which run along the coast from Santa Monica up to Ventura County lines, have not had a LUP. A vote slated for August 26 will impact many of the small “hobby” and commercial vintners who have had vineyards planted on their properties since the late 1970s. Harvey Ebersole, a lawyer working with the Coastal Coalition of Family Farmers, believes that the consequences of this proposed ban on vineyards in Malibu could hurt viticulture around the U.S., not just locally. “If the county succeeds in maintaining its ban on new vineyards, then surely other local governments will refer to this precedent as they seek to outlaw new vineyards within their jurisdictions,” Ebersole said. Montage Vineyards’ John Gooden was present at the meeting back in April when the proposed changes were brought to light during a public hearing. He asked to speak, but says he was denied the chance. Gooden says it was the Coastal Commission and Yaroslavksy’s office that negotiated the final details, which eventually were adopted—without participation from vintners or growers. While limited agriculture and equestrian land use rights remain, the re-written act maintains a ban on new vineyards, and according to Gooden, “Didn’t provide any plan for existing vineyards to come into compliance.” Yet, the new laws will allow for equestrian properties that are not fully validated or that fall out of compliance to come into compliance. So why not vineyards? We spoke with Supervisor Yaroslavsky by phone, who stated that anyone living in unincorporated areas, “know[s] that they have to get a permit from the Coastal Commission to do anything,” and that two fees are required in the permitting, paid to the county and the commission. “What this plan does is eliminates the duality of the permit system,” giving the responsibility solely to the county to enforce the laws, which he says is better suited for the job over the Coastal Commission. Yaroslavsky chalks up the controversy up to a handful of small growers concerned with losing their vines because they were planted illegally in the first place. He further says that there is not “sufficient water in the Santa Monica Mountains for this kind of use. What we are trying to do is protect and preserve the mountains and sensitive habitats around places like Chaparral, which is considered an endangered region by the state of California.” Not everyone agrees that vineyards have a negative effect on the land, however. To Yaroslavksy this is merely an issue of permitting—which vineyards are planted legally and which are not. Yet the fact remains that vineyards have been a part of Malibu’s history for close to 200 years, and new vineyards are the lifeblood of an AVA. While regulation is critical, is it really in the county’s best interest to ban new vineyards altogether? The issue remains a hot topic for many local residents and leaders, but it looks doubtful that any changes to the proposed rules will be made in time for the August 26 vote. Those with concerns should reach out to Supervisor Yaroslavsky’s office, which can be reached via email or telephone. On August 26, the L.A. County Board of Supervisors approved the new Land Use Plan for the Santa Monica Mountains, which was opposed by vintners who argued that the new plan was an infringement on their rights, given the recent federal recognition of the Malibu AVA. The new “Local Coastal Program” allows for some organic agriculture use, such as the planting of certain fruit trees and also permits equestrian sites to remain, or come into compliance if they are—for example—polluting a nearby stream. For vineyards falling within the newly approved areas, however, they will be subject to scrutiny. Some owners may possibly be forced to rip out their vines. Supervisor Yaroslavksy, a vocal opponent of vineyards in the Santa Monica Mountains, voiced his support for the passing of the plan as a fair compromise with a wide variety of stakeholders.